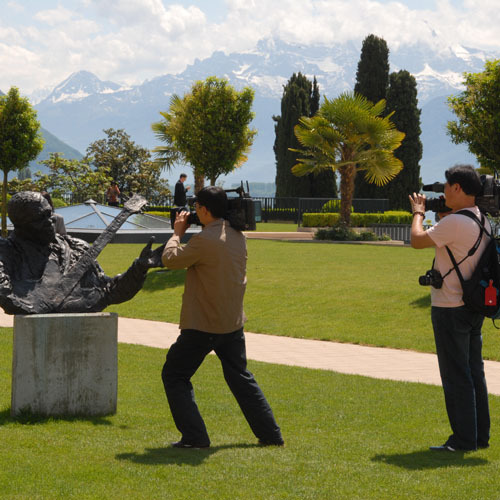 In a neat park on the shore of Lake Geneva at Montreux, Switzerland, with a backdrop of the Alps, a film crew shoots statues of famous musicians. Montreux is the home of the world famous annual jazz festival that bears the city’s name. This is the subject for spotting the difference between two pictures, in which you may like to compete against your friends to see who is the best photo detective. There are no prizes, only the satisfaction of being the best, like these musicians once were.